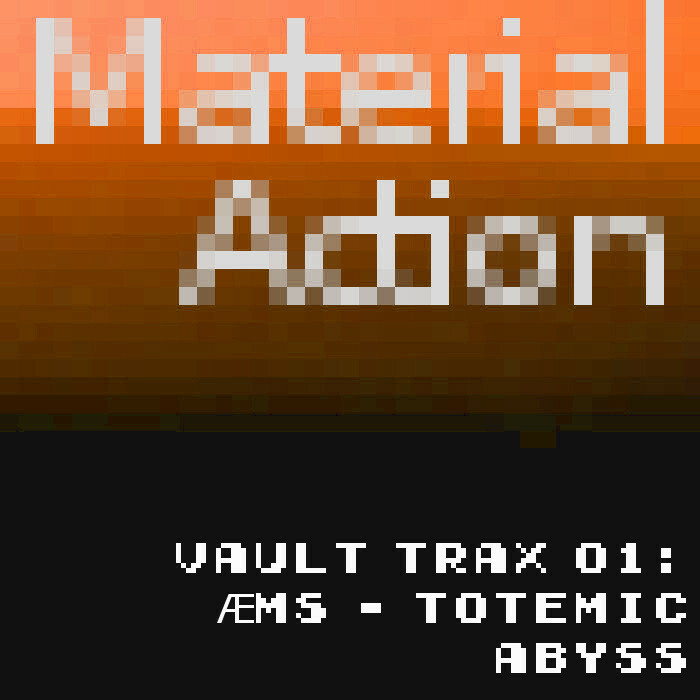 L0BIT Proudly presents the first and certainly not the last; deep peek in the vaults of electronica dance duo Material Action. acoustics, synthetic experimentation, bongo’s and rhythm. muscles, brainwaves and intimate pleasure centers of the brain. and submerge into this raw edition of smooth rhythmic progression and futuristic atmosphere. I would like to invite you to download this amazing record. May it please every inch of your body, mind and souls. Might it guide you into the world of underground EDM before it even had three capital letters attached to it. let it live forever in your groovy hearts and musical ears forever and ever! With an explicit honor I would like to give the word now to ‘Alex’ one of the precious members of Material Action, in order to express the interesting background information that makes (next to the hear-able content) this release a a must have for every electronic music collector’s collection! After the collapse of my label Noise-Joy and some years before I’d begin running XOS there was a period in which I’d attempted another small net-label, run from a blog, with Jacob (Skvmb) who’d originally founded the XOS imprint. This was the Scott Engelis project, which wasn’t very well thought out and ended up abandoned pretty quickly. The output was mostly old N-J albums that I liked a lot and wanted to preserve, plus some occasional new stuff. All of it was hosted to MegaUpload, which went under just a few months afterward. Among the original content featured on that ill-fated label were two albums by à¸¦MS, which were the first two albums’ worth of material that I’d recorded while working alongside Eric Sexton before we started the Material Action project. This was late 2009, during our years of warehouse partying and soundsystem building. They were basically just really rough sound experiments. We came up with the name by combining our initials, as we couldn’t think of anything better at the time. The highly repetitive but morphose nature of the piece was the result of using long delay effects via the Korgs – about a measure-long in 4/4 time – that would gradually decay. We would add new layers of sounds as old ones slowly phased out. It’s a technique I utilized on a previous solo effort and works pretty well for creating long-form trance-inducing tracks. Even into the Material Action project, we’d sometimes return to this and ransack it for samples for new tracks.